Most common Tyre sizes and prices are shown above. Sumitomo, Falken, Mickey Thompson, Minerva, Pace, Tracmax, Windforce, Sailun, Toyo, Dunlop, Pirelli, Kumho, Hankook, Goodyear, Bridgestone and Branded Mud Tyres are just some of the most popular and best sellers now available. If we don't list the Tyres you want here, give us a call on 07-3285 8100 and we'll order them in for you if they are available. All Tyre prices listed are "starting from" price and include expert fitting and computer balancing. Every tyre carries detailed information which can be found on the tyre wall. ​Dog Tyred have most major tyre brands available from top of the range to budget prices plus a large range of good, safe second hand tyres. Call in and check out our floor stock, or if you are searching for something special we can source that as well. 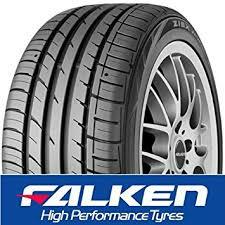 The most common tyre sizes are in stock. If we don't have the size or brand you are chasing listed here, please give us a call on 07 3285 8100 and we'll order them in for you, if they are available. All tyre prices include expert fitting, computer balancing and new tubeless valves. Simex Extreme Trekker, Maxxis, Pro Comp, General Grabber and more, ready for fitting. MAXXIS BIGHORN MUD TYRES AVAILABLE! Call us on 07-3285-8100 for more sizes and best prices.